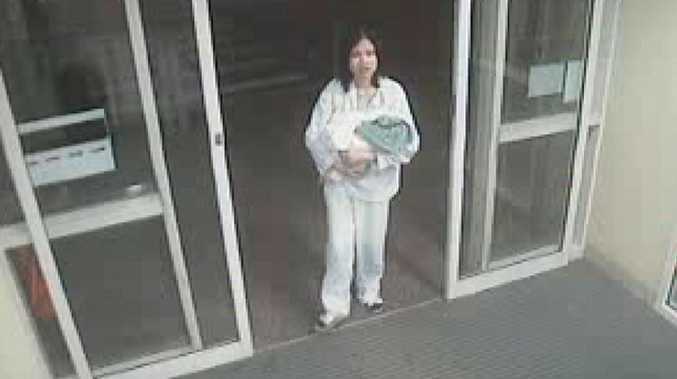 BABY Jessica was less than eight hours old when she was caught on CCTV at a hospital in Sydney's west, wrapped in a towel in her mother's arms just after 1.30am. 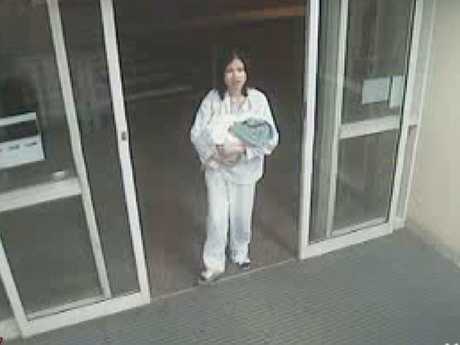 The mother had taken Jessica to Liverpool Hospital, in Sydney's southwest, for a check-up and given doctors a fake name, asking for a Thai interpreter. For the next six hours, Jessica's birth mum sat in the waiting room holding her daughter, occasionally comforting the newborn girl when she cried. Then, still wearing the pyjamas she turned up to Liverpool Hospital in, the woman left, caught on CCTV wandering out of the hospital with her arms behind her back and with Jessica still sitting in the waiting room. For five months in 2005, police, medical professionals and the media launched numerous appeals to try and find Jessica's mother and encouraged her to come forward, but she never did. Now 14 years old, Jessica has decided to launch her own appeal to try and find her birth mother. "It's not her fault - whether it was any external reasons, or any other reasons - it's not her fault," Jessica told A Current Affair. "I want to give her a big hug. I want her to know not to feel terrible or feel guilty in any way." Jessica wants her birth mother to know she's "doing really well now" but still wants the woman who left her at the hospital to be part of her life. "I love you, even though I've never met you. Just be brave and come forward," she said. The hospital CCTV was made public tonight when it was aired on ACA with the hope the footage will encourage witnesses to come forward. Jessica's adoptive parents, who have since adopted three more children, are also hopeful the teenager's birth mother will come forward. "I would really, really love to meet you," Jessica said. "Sit down with you, have a conversation. You are my birth mother and I would really like to have that opportunity."